New Look Painting & Construction can turn your old, peeling, weathered deck into a new deck in no time! Our crews can power wash, sand and prep your deck and apply new stain or paint in a matter of a day to give you that new deck look like it was just built! We can offer you a wide array of restoration services for your home or commercial building. New Look works very closely with Mitigation Companies to bring your home or building back to new if you had a fire, flood or roof leak. We will work hand in hand with the Insurance Company and Mitigation company to seamlessly ensure that the job is completed from inception to completion and within the budget of the claim to get you back into your home or building as quickly as possible. Our Restoration Crews are equipped to take care of all facets of each project from pulling the permit to start the work to finishing the project to your specifications while offering you our design services along the way to provide you with the look and feel to make your space “home” again. We work with all of the current door & window manufacturers to provide you with the exact door or window that you are looking for to complete that unique look in your home or office space. Our Suppliers have endless possibilities to provide you with the newest, most energy efficient products that can meet your style needs. Trying to match an existing door or window to give you a uniform look throughout a Condominium complex or throughout your office building? Yes we have the options for you. Looking for a new Glass front double door for your Retail business? Yes we can do that too! We have endless options and possibilities to make your home or business stand out while providing you with the newest energy efficient products on the market. New Look can repair or replace your deck using a wide variety of options these days. We can repair your deck using the same materials that you currently have at this time such as Pressure Treated Lumber and then we can offer you the services of staining your deck after the repairs have been made to give you the look of a brand new deck. Or we can remove the existing materials on your old deck and rebuild it using the existing joists and provide you with new deck boards, railings, privacy walls, fascia boards to give you a new maintenance free deck for years to come. Want to extend your deck to give you more room, or around your new pool? We can do that also by matching the existing materials of your old deck or rebuild the old deck using composite materials to give you one seamless, uniform look that you will be proud of to call home! Looking to spruce up your current buildings or structure? Looking for a brand new, maintenance-free structure for years to come? New Look can offer you endless possibilities to achieve that unique look. We work closely with Homeowners, Boards of Directors and Building Owners to take your rotted, warped and fading structure and turn it into a brand new Home or Building in a matter of no time. We can remove your old rotted wood clapboard and install new vinyl siding to not only one building, but also an entire condominium complex of multiple buildings. Our construction crews excel and have the expertise in completing small and large size projects to make this project seamless and effortless from beginning to end. Looking for a unique look to your building? 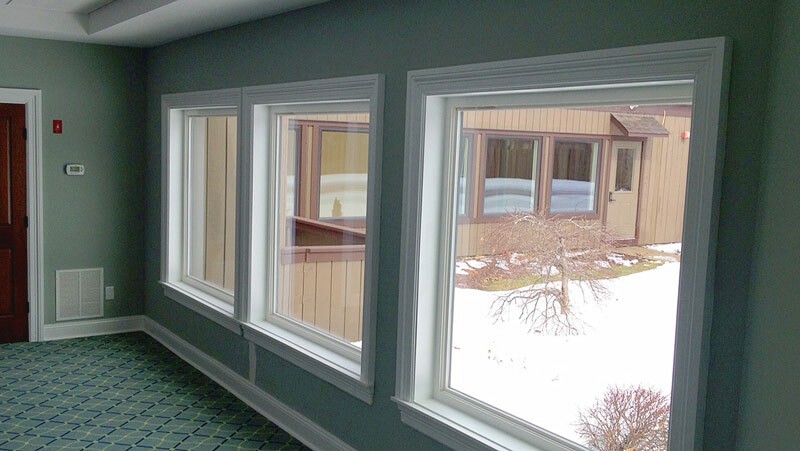 We also offer numerous different types of vinyl siding, new cedar clapboard, cement board, stucco, stone veneers, etc. to give you that one of a kind, unique look to make your home and building stand out! To give you a one-stop shop for all of your needs, New Look can also offer you paving and concrete services. Our relationships and partnerships with the best and most reputable paving and concrete companies will provide you with the highest quality project available and because of the shear amount of work that we do, also the most competitive pricing available by far. We can come in to help you out with either one crumbling sidewalk or driveway at your home or business, or can repave and redo the sidewalks throughout acres of your condominium complex or schools campus. If you are taking out a loan for multiple facets of work, we can do every piece of that work for you including your pavement and concrete surfaces. We can offer you landscape design and construction services to go with the new look of your structure. 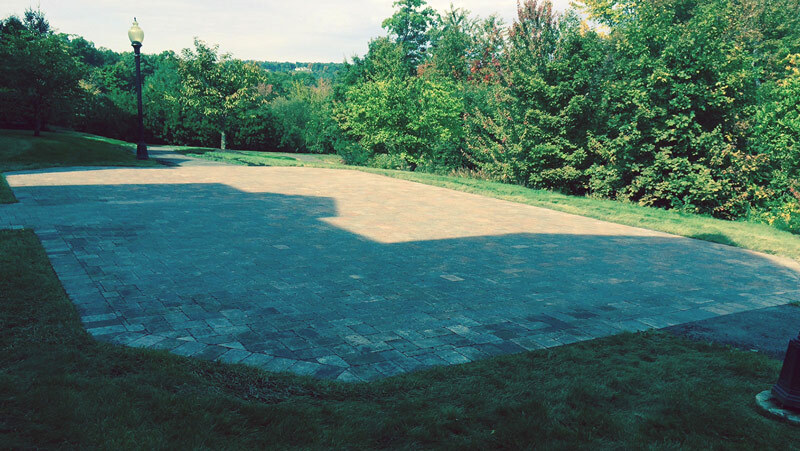 We mainly focus on the “Hardscape” aspect of landscape construction such as building and installing a new patio at the back of your Condominium Complex or Home, or a new stone wall around your building. 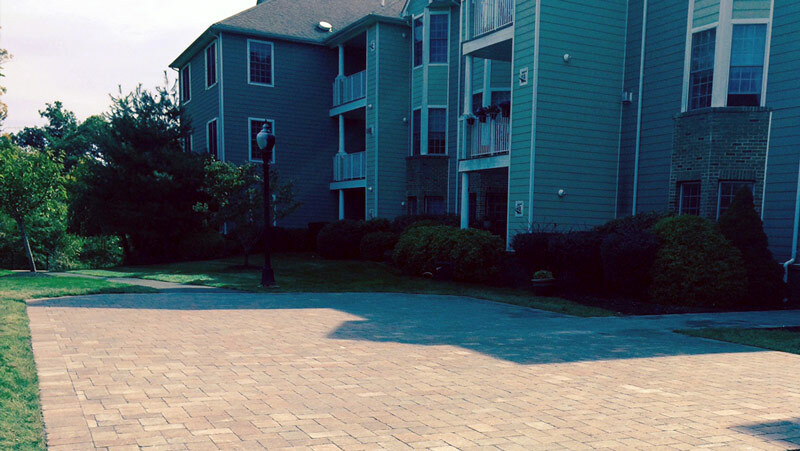 Looking to remove your existing concrete or asphalt sidewalks for a more custom look and feel? We have endless patio and paver block options and designs to give you the look and feel that you are looking for. We can also install new underground drainage from your home or building and a new stone retaining wall to provide you with a beautiful new yard to match your buildings new façade and appearance. New Look Painting & Construction is fully licensed by the state of Connecticut (HIC.0615832), is in full compliance with all regulatory and environmental statutes, and fully insured including Liability and Worker’s Compensation. Copyright © 2019 NLPC Inc.